For other uses, see Corsica (disambiguation). "Corse" redirects here. For other uses, see Corse (disambiguation). Corsica (/ˈkɔːrsɪkə/; French: Corse [kɔʁs]; Corsica in Corsican and Italian, pronounced [ˈkorsiga] and [ˈkɔrsika] respectively) is an island in the Mediterranean Sea and one of the 18 regions of France. It is located southeast of the French mainland and west of the Italian Peninsula, with the nearest land mass being the Italian island of Sardinia to the immediate south. A single chain of mountains makes up two-thirds of the island. While being part of Metropolitan France, Corsica is also designated as a territorial collectivity (collectivité territoriale) by law. As a territorial collectivity, Corsica enjoys a greater degree of autonomy than other French regions; for example, the Corsican Assembly is able to exercise limited executive powers. The island formed a single department until it was split in 1975 into two historical departments: Haute-Corse (Upper Corsica) and Corse-du-Sud (Southern Corsica), with its regional capital in Ajaccio, the prefecture city of Corse-du-Sud. Bastia, the prefecture city of Haute-Corse, is the second largest settlement in Corsica. The two departments, and the region of Corsica, merged again into a single territorial collectivity in 2018. After being ruled by the Republic of Genoa since 1284, Corsica was briefly an Italian-speaking independent republic from 1755, until it was officially ceded by the Republic of Genoa to Louis XV as part of a pledge for debts and conquered in 1769. Napoleon Bonaparte was born the same year in Ajaccio, and his ancestral home, Maison Bonaparte, is today a significant visitor attraction and museum. Due to Corsica's historical ties with the Italian peninsula, the island retains to this day many Italian cultural elements: the native tongue is recognized as a regional language by the French government. The medieval influence of Pisa in Corsica can be seen in the Romanesque-Pisan style of the Church of Aregno. The origin of the name Corsica is subject to much debate and remains a mystery. To the Ancient Greeks it was known as Kalliste, Corsis, Cyrnos, Cernealis, or Cirné. Of these Cyrnos, Cernealis, or Cirné derive from the most ancient Greek name of the island, "Σειρηνούσσαι" ("Seirinoussai", meaning of the Sirens), the very same Sirens mentioned in Homer's Odyssey. After a brief occupation by the Carthaginians, colonization by the ancient Greeks, and an only slightly longer occupation by the Etruscans, it was incorporated by the Roman Republic at the end of the First Punic War and, with Sardinia, in 238 BC became a province of the Roman Republic. The Romans, who built a colony in Aléria, considered Corsica as one of the most backward regions of the Roman world. The island produced sheep, honey, resin and wax, and exported many slaves, not well considered because of their fierce and rebellious character. Moreover, it was known for its cheap wines, exported to Rome, and was used as a place of relegation, one of the most famous exiles being the Roman philosopher Seneca. Administratively, the island was divided in pagi, which in the Middle Ages became the pievi, the basic administrative units of the island until 1768. During the diffusion of Christianity, which arrived quite early from Rome and the Tuscan harbors, Corsica was home to many martyrs and saints: among them, the most important are Saint Devota and Saint Julia, both patrons of the island. Corsica was integrated into Roman Italy by Emperor Diocletian (r. 284-305). In the 5th century, the western half of the Roman Empire collapsed, and the island was invaded by the Vandals and the Ostrogoths. Briefly recovered by the Byzantines, it soon became part of the Kingdom of the Lombards. This made it a dependency of the March of Tuscany, which used it as an outpost against the Saracens. Pepin the Short, king of the Franks and Charlemagne's father, expelled the Lombards and nominally granted Corsica to Pope Stephen II. In the first quarter of the 11th century, Pisa and Genoa together freed the island from the threat of Arab invasion. After that, the island came under the influence of the republic of Pisa. To this period belong the many polychrome churches which adorn the island, and Corsica also experienced a massive immigration from Tuscany, which gave to the island its present toponymy and rendered the language spoken in the northern two-thirds of the island very close to the Tuscan dialect. Due to that, then began also the traditional division of Corsica in two parts, along the main chain of mountains roughly going from Calvi to Porto-Vecchio: the eastern Banda di dentro, or Cismonte, more populated, evolved and open to the commerce with Italy, and the western Banda di fuori, or Pomonte, almost deserted, wild and remote. North African pirates frequently attacked Corsica, resulting in many Genoese towers being erected. The crushing defeat experienced by Pisa in 1284 in the Battle of Meloria against Genoa had among its consequences the end of the Pisan rule and the beginning of the Genoese influence in Corsica: this was contested initially by the King of Aragon, who in 1296 had received from the Pope the investiture over Sardinia and Corsica. A popular revolution against this and the feudal lords, led by Sambucuccio d'Alando, got the aid of Genoa. After that, the Cismonte was ruled as a league of comuni and churches, after the Italian experience. The following 150 years were a period of conflict, when the Genoese rule was contested by Aragon, the local lords, the comuni and the Pope: finally, in 1450 Genoa ceded the administration of the island to its main bank, the Bank of Saint George, which brought peace. In the 16th century, the island entered into the fight between Spain and France for the supremacy in Italy. In 1553, a Franco-Ottoman fleet occupied Corsica, but the reaction of Spain and Genoa, led by Andrea Doria, reestablished the Genoese supremacy on the island, confirmed by the Peace of Cateau-Cambresis. The unlucky protagonist of this episode was Sampiero di Bastelica, who would later come to be considered a hero of the island. Their power reinstated, the Genoese did not allow the Corsican nobility to share in the government of the island, and oppressed the inhabitants with a heavy tax burden: on the other hand, they introduced the chestnut tree on a large scale, improving the diet of the population, and built a chain of towers along the coast to defend Corsica from the attacks of the Barbary pirates from North Africa. The period of peace lasted until 1729, when the refusal to pay taxes by a peasant sparked the general insurrection of the island against Genoa. In 1729 the Corsican Revolution for independence from Genoa began, first led by Luiggi Giafferi and Giacinto Paoli, and later by Paoli's son, Pasquale Paoli. After 26 years of struggle against the Republic of Genoa (plus an ephemeral attempt to proclaim in 1736 an independent Kingdom of Corsica under the German adventurer Theodor von Neuhoff), the independent Corsican Republic was proclaimed in 1755 under the leadership of Pasquale Paoli and remained sovereign until 1769, when the island was conquered by France. The first Corsican Constitution was written in Italian (the language of culture in Corsica until the middle of the 19th century) by Paoli. The Corsican Republic was unable to eject the Genoese from the major coastal fortresses (Calvi and Bonifacio). After the Corsican conquest of Capraia, a small island of the Tuscan Archipelago, in 1767, the Republic of Genoa, exhausted by forty years of fighting, decided to sell the island to France which, after its defeat in the Seven Years' War, was trying to reinforce its position in the Mediterranean. In 1768, with the Treaty of Versailles, the Genoese republic ceded all its rights on the island. After an initial successful resistance culminating with the victory at Borgo, the Corsican republic was crushed by a large French army led by the Count of Vaux at the Battle of Ponte Novu. This marked the end of Corsican sovereignty. Despite triggering the Corsican Crisis in Britain, whose government gave secret aid, no foreign military support came for the Corsicans. However, nationalist feelings still ran high. Despite the conquest, Corsica was not incorporated into the French state until 1789. Following the outbreak of the French Revolution in 1789, Pasquale Paoli was able to return to Corsica from exile in Britain. In 1794, he invited British forces under Lord Hood to intervene to free Corsica from French rule. Anglo-Corsican forces drove the French from the island and established an Anglo-Corsican Kingdom. Following Spain's entry into the war, the British decided to withdraw from Corsica in 1796. Corsica returned to French rule. Despite being the birthplace of the Emperor, who had supported Paoli in his youth, the island was neglected by Napoleon's government. In 1814, near the end of the Napoleonic Wars, Corsica was briefly occupied again by British troops. The Treaty of Bastia gave the British crown sovereignty over the island, but it was later repudiated by Lord Castlereagh who insisted that the island should be returned to a restored French monarchy. After the restoration, the island was further neglected by the French state. Despite the presence of a middle class in Bastia and Ajaccio, Corsica remained an otherwise primitive place, whose economy consisted mainly of a subsistence agriculture, and whose population constituted a pastoral society, dominated by clans and the rules of vendetta. The code of vendetta required Corsicans to seek deadly revenge for offences against their family's honor. Between 1821 and 1852, no fewer than 4,300 murders were perpetrated in Corsica. In this period a myth proved of interest as an historical fact by virtue of its being introduced by Herodotus and furthered by writers like Mérimée and Gregorovius, of Corsica as having been populated by Arcadians (Oenotrians and citizens of Phocaea), fierce and loyal people. During the first half of the century, the people of Corsica belonged still to the Italian cultural world: the bourgeoisie sent children to Pisa to study, official acts were enacted in Italian and most books were printed in Italian. Moreover, many islanders sympathised with the national struggle which was taking place in nearby Italy in those years: several political refugees from the peninsula, like Niccolò Tommaseo, spent years in the island, while some Corsicans, like Count Leonetto Cipriani, took active part in the fights for Italian independence. Corsica paid a high price for the French victory in the First World War: agriculture was disrupted by the years-long absence of almost all of the young workers, and the percentage of dead or wounded Corsicans in the conflict was double that of those from continental France. Moreover, the protectionist policies of the French government, started in the 1880s, had caused a significant strain on the Corsican export of wine and olive oil, and forced many young locals to emigrate both to mainland France and the Americas. As a reaction to these conditions, a nationalist movement was born in the 1920s around the newspaper A Muvra, proposing the island's autonomy; in the 1930s, however, the nationalist movement's key figures turned to Italian irredentism, seeing the annexation of the island to fascist Italy as the most desirable course of action. Under Benito Mussolini, the annexation of Corsica had become one of the main goals of Italy's domestic policy of expansion. After the collapse of France to the German Wehrmacht in 1940, Corsica came under the rule of the Vichy French regime, which was collaborating with Nazi Germany. In November 1942 the island, following the Anglo-American landings in North Africa was occupied by Italian and German forces. After the Italian armistice in September 1943, Italian and Free French Forces pushed the Germans out of the island, making Corsica the first French Department to be freed. Subsequently, the US military established 17 airfields, nicknamed "USS Corsica", which served as bases for attacks on targets in German-occupied Italy. During the May 1958 crisis, French paratroopers landed on Corsica on 24 May, garrisoning the island in a bloodless action called Opération Corse. Between the late fifties and the seventies, the project of building a nuclear polygon in the mines of Argentella, the immigration of 18,000 former settlers of the newly independent Algeria ("Pieds-Noirs") in the eastern plains, and continuing chemical pollution (Fanghi Rossi) from mainland Italy increased tensions between the local inhabitants and the French government. Tensions escalated until they eventually erupted in the occasion of an armed police assault on a pieds-noirs-owned wine cellar in Aleria, occupied by Corsican nationalists on 23 August 1975: Corsican nationalism has been a feature of the island's politics ever since, with several groups and nationalist parties active calling for the protection of the Corsican cultural heritage and greater autonomy, or even the restoration of the island's full independence. Some radical nationalists, organizing themselves in a group known as FLNC, carried out a violent conflict, which included a number of bombings and assassinations targeting buildings and officials of the French government, both from the mainland and Corsica itself. Periodic flare-ups of raids and killings culminated in the assassination of the Prefect Claude Érignac in 1998. In 2013, Corsica hosted the first three stages of the 100th Tour de France, which passed through the island for the first time in the event's 110-year history. It is 183 km (114 mi) long at longest, 83 km (52 mi) wide at widest, has 1,000 km (620 mi) of coastline, more than 200 beaches, and is very mountainous, with Monte Cinto as the highest peak at 2,706 m (8,878 ft) and around 120 other summits of more than 2,000 m (6,600 ft). Mountains comprise two-thirds of the island, forming a single chain. Forests make up 20% of the island. About 3,500 km2 (1,400 sq mi) of the total surface area of 8,680 km2 (3,350 sq mi) is dedicated to nature reserves (Parc naturel régional de Corse), mainly in the interior. Corsica contains the GR20, one of Europe's most notable hiking trails. The island is 90 km (56 mi) from Tuscany in Italy and 170 km (110 mi) from the Côte d'Azur in France. It is separated from Sardinia to the south by the Strait of Bonifacio, which is a minimum of 11 km (6.8 mi) wide. Under the Köppen climate classification scheme, coastal regions are characterized by a hot-summer Mediterranean climate (Csa). Further inland, a warm-summer Mediterranean climate (Csb) is more common. At the highest elevation locations, small areas with a subarctic climate (Dsc, Dfc) and the rare cold-summer Mediterranean climate (Csc) can be found. The island is divided into three major ecological zones by altitude. Below 600 metres (2,000 ft) is the coastal zone, which features a Mediterranean climate, with hot, dry summers and mild, rainy winters. The natural vegetation is Mediterranean forests, woodlands, and shrubs. The coastal lowlands are part of the Tyrrhenian-Adriatic sclerophyllous and mixed forests ecoregion, in which forests and woodlands of evergreen sclerophyll oaks predominate, chiefly holm oak (Quercus ilex) and cork oak (Quercus suber). Much of the coastal lowlands have been cleared for agriculture, grazing and logging, which have reduced the forests considerably. There is considerable birdlife in Corsica. One famous example is the bearded vulture. In some cases Corsica is a delimited part of the species range. For example, the subspecies of hooded crow, Corvus cornix ssp cornix occurs in Corsica, but no further south. From 600 to 1,800 m (2,000 to 5,900 ft) is a temperate montane zone. The mountains are cooler and wetter, and home to the Corsican montane broadleaf and mixed forests ecoregion, which supports diverse forests of oak, pine, and broadleaf deciduous trees, with vegetation more typical of northern Europe. The population lives predominantly below 900 m (3,000 ft), with only shepherds and hikers at 600 to 900 m (2,000 to 3,000 ft). From 1,800 to 2,700 m (5,900 to 8,900 ft) is a high alpine zone. Vegetation is sparse. This zone is uninhabited. The island has a natural park (Parc Naturel Régional de Corse, Parcu di Corsica), which protects rare animal and plant species. The Park was created in 1972 and includes the Golfe de Porto, the Scandola Nature Reserve (a UNESCO World Heritage Site), and some of the highest mountains on the island. Scandola cannot be reached on foot, but people can gain access by boat from the village of Galéria and Porto (Ota). Two endangered subspecies of hoofed mammals, the European mouflon (Ovis orientalis musimon) and Corsican red deer (Cervus elaphus corsicanus) inhabit the park. The Corsican red deer was re-introduced after it was extinct due to over hunting. This Corsican subspecies was the same that survived on Sardinia, so it's endemic. There are other species endemic to Corsica especially in the upper mountain ranges, i.e. Corsican nuthatch, Corsican fire salamander and Corsican brook salamander and many plant subspecies. The globally extinct species are the Sardinian dhole, Megaloceros cazioti, Corsican giant shrew, Tyrrhenian mole, Sardinian pika, Corsican-Sardinian vole, Corsican-Sardinian wood mouse, Bubo insularis and Athene angelis. Birds were especially hard-hit. Some that were eradicated from the vicinity are Haliaeetus albicilla and Aquila heliaca. At the 2011 census, 56.3% of the inhabitants of Corsica had been born in Corsica, 28.6% were born in Continental France, 0.3% were from Overseas France, and 14.8% were natives of foreign countries. Chart of the dialects of the Corsican language, which also extends into northern Sardinia. As in the rest of France, French is Corsica's official language and is now spoken throughout the island. Italian was the official language of Corsica under the plurisecular Pisan and Genoese rule, and was retained as the island's administrative language until 1859. Corsican (corsu), an Italo-Dalmatian minority language that is closely related to Tuscan (toscano), has a better prospect of survival than most other French regional languages: Corsican is in fact, after French, the most widely spoken language on the island. However, Corsican lacks official status, and today it is estimated that only 10% of Corsica's population speak the language natively, with 50% having some sort of proficiency in it. The language is divided into the two main varieties of corsu supranacciu ("Northern Corsican") and corsu suttanacciu ("Southern Corsican"), spoken respectively northeast and southwest of the Girolata - Porto Vecchio line. This division was primarily due to the massive immigration from Tuscany which took place in Corsica during the lower Middle Ages: as a result, the supranacciu or cismontano became very similar to the Western Tuscan dialects, while the suttanacciu or oltramontano could keep more original characteristics which make this group of dialects relatively similar to a Southern Romance language like Sardinian (sardu). Therefore, due to the differences between the main dialectal varieties, most linguists classify Corsican as an Italo-Dalmatian language, while some others place it in the Southern Romance family, together with Sardinian. It should also be noted that fewer and fewer people speak a dialect of Ligurian, known as bunifazzinu, in what has long been a language island, Bonifacio, and in Ajaccio, the aghjaccinu dialect. In Cargèse, a village established by Greek immigrants in the 17th century, Greek (ελληνικά) was the traditional language: whereas it has long disappeared from spoken conversation, ancient Greek is still the liturgical language and the village has many Greek Orthodox parishes. From the mountains to the plains and sea, many ingredients play a role. Game such as wild boar (Cingale, Singhjari) is popular. There also is seafood and river fish such as trout. Delicacies such as figatellu (also named as ficateddu), made with liver, coppa, ham (prizuttu), lonzu are made from Corsican pork (porcu nustrale). Characteristic among the cheeses is brocciu (similar to ricotta), which is used as a fresh ingredient in many dishes, from first courses (sturzapreti) to cakes (fiadone). Other cheeses, like casgiu merzu ("rotten cheese", the Corsican counterpart of the Sardinian casu marzu), casgiu veghju are made from goat or sheep milk. Chestnuts are the main ingredient in the making of pulenta castagnina and cakes (falculelle). A variety of alcohol also exists ranging from aquavita (brandy), red and white Corsican wines (Vinu Corsu), muscat wine (plain or sparkling), and the famous "Cap Corse" apéritif produced by Mattei. The herbs which are part of Maquis (Corsican: machja) and the chestnuts and oak nuts of the Corsican forests are eaten by local animals, resulting in the noticeable taste in the food there. AC Ajaccio and SC Bastia are the two main football teams, which have played the Ligue 1 frequently since the 1960s and contest the Corsica derby. Since 2015, Gazélec Ajaccio, the city's second team, has begun playing in the Ligue 1. The Tour de Corse is a rally held since 1956, which was a round of the World Rally Championship from 1973 to 2008 and later the Intercontinental Rally Challenge and European Rally Championship. The Tour de Corse returned as a World Rally Championship round in 2015. 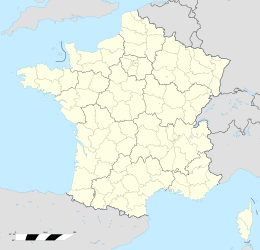 Before 1975, Corsica was a départment of the French region of Provence-Alpes-Côte d'Azur. In 1975 two new départements, Haute-Corse and Corse-du-Sud, were created by splitting the hitherto united departement of Corsica. On 2 March 1982, a law was passed that gave Corsica the status of territorial collectivity (collectivité territoriale), abolishing the Corsican Regional Council. Unlike the regional councils, the Corsican Assembly has executive powers over the island. A local referendum held in 2003, aimed at abolishing the two départements to leave a territorial collectivity with extended powers, was voted down by a narrow margin. However, the issue of Corsican autonomy and greater powers for the Corsican Assembly continues to hold sway over Corsican politics. In 1584 the Genoese governor ordered all farmers and landowners to plant four trees yearly; a chestnut, olive, fig, and mulberry tree. Many communities owe their origin and former richness to the ensuing chestnut woods. Chestnut bread keeps fresh for as long as two weeks. Corsica produces gourmet cheese, wine, sausages, and honey for sale in mainland France and for export. Corsican honey, of which there are six official varieties, is certified as to its origin (Appellation d'origine contrôlée) by the French National Institute of Origin and Quality (Institut National des Appellations d'Origine – INAO). All airports are served by regional French airline Air Corsica, as well as Air France which mainly offers connections to Paris-Orly. Budget carriers such as EasyJet and Ryanair offer seasonal connections to different cities in Europe. The island has 232 kilometres (144 miles) of metre gauge railway. The main line runs between Bastia and Ajaccio and there is a branch line from Ponte Leccia to Calvi. Chemins de Fer de la Corse (CFC) is the name of the regional rail network serving the French island of Corsica. For a list of stations, see Railway stations in Corsica. The railroad retains the air of a friendly local railroad and is an excellent way to get around the island, for both the inhabitants and tourists. There is a third line along the east coast that is not in use due to heavy damage during World War II. John Smith and his consortium announced their intention to invest and redevelop in 2018. There has been talk of restoration, but no progress has occurred. Corsica is well connected to the European mainland (Italy and France) by various car ferry lines. The island's busiest seaport is Bastia, which saw more than 2.5 million passengers in 2012. The second busiest seaport is Ajaccio, followed by L'Île-Rousse and Calvi. Propriano and Porto Vecchio in the south also have smaller ferry docks and are seasonally served from France (Marseille), while Bonifacio's harbour is only frequented by smaller car ferries from the neighbouring island of Sardinia. The ferry companies serving Corsica are Corsica Ferries - Sardinia Ferries (from Savona, Livorno and Piombino in Italy; Toulon and Nice in France), SNCM (from Marseille, Toulon and Nice in France), CMN - La Méridionale (from Marseille in France) and Moby Lines (from Livorno and Genoa in Italy). There are several groups and two nationalist parties (the autonomist Femu a Corsica and the separatist Corsica Libera) active on the island calling for some degree of Corsican autonomy from France or even full independence. Generally speaking, regionalist proposals focus on the promotion of the Corsican language, more power for local governments, and some exemptions from national taxes in addition to those already applying to Corsica. In 1972, the Italian company Montedison dumped toxic waste, which appeared to be red mud, off the Corsican coast, the most visible effects being cetaceans found dead on the shores. At that time the Corsican people felt that the French government did not support them. To stop the poisoning, one ship carrying toxic waste from Italy was bombed. Corsican nationalists have used means such as the removal of French names (most of them of Italian origin) on road signs. Nationalist organisations started to seek money, using tactics similar to those of the Mafia, to fund violence. Some groups that claim to support Corsican independence, such as the National Liberation Front of Corsica, have carried out a violent campaign since the 1970s that includes bombings and assassinations, usually targeting buildings and officials representing the French government or Corsicans themselves for political reasons. A war between two rival independence groups led to several deaths in the 1990s. The peaceful occupation of a pied-noir vineyard in Aléria in 1975 marked a turning point when the French government responded with overwhelming force, generating sympathy for the independence groups among the Corsican population. In 2000, Prime Minister Lionel Jospin agreed to grant increased autonomy to Corsica. The proposed autonomy for Corsica would have included greater protection for the Corsican language (Corsu), the island's traditional language, whose practice and teaching, like other regional or minority languages in France, had been discouraged in the past. According to the UNESCO classification, the Corsican language is currently in danger of becoming extinct. However, plans for increased autonomy were opposed by the Gaullist opposition in the French National Assembly, who feared that they would lead to calls for autonomy from other régions (such as Brittany, Alsace, or Provence), eventually threatening France's unity as a country. In a referendum on 6 July 2003, a narrow majority of Corsican voters opposed a proposal by the government of Jean-Pierre Raffarin and then-Interior Minister Nicolas Sarkozy that would have suppressed the two départements of the island and granted greater autonomy to the territorial collectivity of Corsica. On 13 December 2015, the regionalist coalition Pè a Corsica (English: For Corsica), supported by both Femu a Corsica and Corsica Libera and led by Gilles Siméoni, won the territorial elections with a percentage of 36.9%. ^ "Corsica: The Mountain in the Sea". Retrieved 2018-11-16. ^ Gregorovius, Ferdinand (1855). Wanderings in Corsica: its history and its heroes. p. 196. ^ "Jacques Massu obituary". Timesonline.co.uk. Retrieved 2012-10-27. ^ Mouillot, F. (2008). "Corsica". Mediterranean Island Landscapes: Natural and Cultural Approaches. Springer. pp. 223–225. ^ Keyser, William (2005). "Corsican Villages and Towns" (PDF). Corsica Isula. Retrieved 29 April 2008. ^ Hogan, C. Michael (2009). N. Stromberg, ed. Hooded Crow: Corvus cornix – via GlobalTwitcher.com. ^ "Estimation de population au 1er janvier, par région, sexe et grande classe d'âge – Année 2013" (in French). INSEE. Retrieved 2014-02-20. ^ a b "Fichier Données harmonisées des recensements de la population de 1968 à 2011" (in French). INSEE. Archived from the original on 25 October 2014. Retrieved 2014-10-25. ^ a b "IMG1B – Les immigrés par sexe, âge et pays de naissance" (in French). INSEE. Retrieved 2014-10-25. ^ "D_FD_IMG2 – Base France par départements – Lieux de naissance à l'étranger selon la nationalité" (in French). INSEE. Retrieved 2013-06-25. ^ Devoto, Giacomo (1974). Il linguaggio d'Italia (in Italian). Milano: Rizzoli. ^ Nordhoff, Sebastian; Hammarström, Harald; Forkel, Robert; Haspelmath, Martin, eds. (2013). "Subfamily: Italo-Dalmatian". Glottolog 2.2. ^ Nicholas, Nick. "How Greek were the Greeks of Corsica?" (PDF). tlg.uci.edu. Thesaurus Linguae Graeceae. Archived from the original (PDF) on January 29, 2012. ^ "The Chestnut Tree". terracorsa.info. ^ Ward, Artemas (1911). "Bread". The Grocer's Encyclopedia – Encyclopedia of Foods and Beverages. New York. p. 76. Archived from the original on February 11, 2016. Retrieved October 10, 2018. ^ "The Region of Corsica". french-at-a-touch.com. Archived from the original on 23 March 2014. Retrieved 2014-03-23. ^ Blackwood, Robert J. (2008). The State, the Activists and the Islanders: Language Policy on Corsica. Springer. p. 164. ISBN 140208384X. ^ "France Moves to Crush Corsican Separatists". The New York Times. 15 January 1997. Retrieved 17 December 2012. ^ "French Cabinet Split Over Corsican Autonomy". The New York Times. 30 August 2000. Retrieved 24 November 2012. ^ "A worrying result". The Economist. The Economist Newspaper Limited. 10 July 2003. Retrieved 24 November 2012. ^ "Victoire historique des nationalistes en Corse". abp.bzh. ^ "Corsican nationalists win historic victory in French elections". The Guardian. 14 December 2015 – via theguardian.com. ^ "Discours de Gilles Simeoni, président du conseil exécutif de Corse - France 3 Corse ViaStella". france3-regions.francetvinfo.fr. "Corsica" . Encyclopædia Britannica. 7 (11th ed.). 1911. pp. 199–204. Costa, L. J.; Cécile Costa (2005). "Préhistoire de la Corse" (in French). Kyrnos Publications pour l'archéologie. Retrieved 26 April 2008. "TerraCorsa, I Muvrini and much more Corsican music". TerraCorsa. Retrieved 22 August 2011. Dumas, Alexandre (2003) . "The Corsican Brothers". Arthur's Classical Novels. Archived from the original on 19 April 2008. Retrieved 27 April 2008. "National Geographic Magazine: Corsica Map". National Geographic Society. 2003. Archived from the original on 10 December 2012. Retrieved 5 May 2008. "Corsica rejects autonomy offer by Paris". CNN. 6 July 2003. Archived from the original on 8 April 2008. Retrieved 26 April 2008. Keyser, Will. "Corsica from the inside!". Corsica Isula. Retrieved 26 April 2008.
jabro. "Getting around in Corsica by bicycle". jabro.net. Retrieved 28 August 2009. Guiderdoni, jf. "A different visit of Corsica". corsica_experience. Retrieved 5 June 2011.